With the price of Arhar rising beyond reach of many consumers, local traders are mixing it with the cheap and low-quality Khesari pulse that was banned by the government in 1961. A large number of complaints of adulteration have been pouring in from various parts of Gurgaon. Khesari was once used as cattle feed, but its side-effects were found to be so dangerous that the practice was stopped. 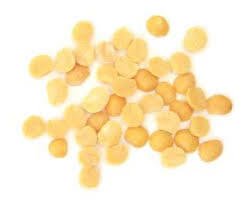 Experts say Khesari dal contains di-amino-pro-pionic acid which could lead to paralysis of the lower body. It could even cause numbness in the limbs and spine. But traders in Gurgaon have begun selling it to cash in on the Arhar crisis. A Mail Today investigation revealed that rampant adulteration of dal is taking place.On Thursday, Mail Today visited Khandsa Anaj Mandi, Dundahera, Mulahera, Surat Nagar, Begampur Khatola, Naurangpur, and villages surrounding IMT Maneser and found adulterated Arhar and Khesari Dal being openly sold. Retail traders in Gurgaon said Khesari dal, available at Rs 40- 50 a kg, is being mixed with Arhar dal and it is very difficult to separate the two because of their striking similarity.Many migrant labourers who consume it are not even aware of the harmful effects of Khesari dal. The Khesari pulse was banned by the central government way back in 1961 due to its high degree of Beta-N-Oxalylaminoalanine, a neurotoxic amino-acid in the legume, which results in Lathyrism. Lathyrism or neurolathyrism is a neurological disease of humans and domestic animals, caused by eating certainlegumes of the genus Lathyrus. This problem is mainly associated with Lathyrus sativus (also known as Grass pea,Kesari Dal, Khesari Dal or Almorta) and to a lesser degree with Lathyrus cicera, Lathyrus ochrus and Lathyrus clymenum containing the toxin ODAP.